It is important to be aware of changes in projects, contacts or tasks when using Smarty CRM for your business processes. This is now possible thanks to the History of Changes option. It is a new page, which contains all the changes that relate to your object, and all information about them. 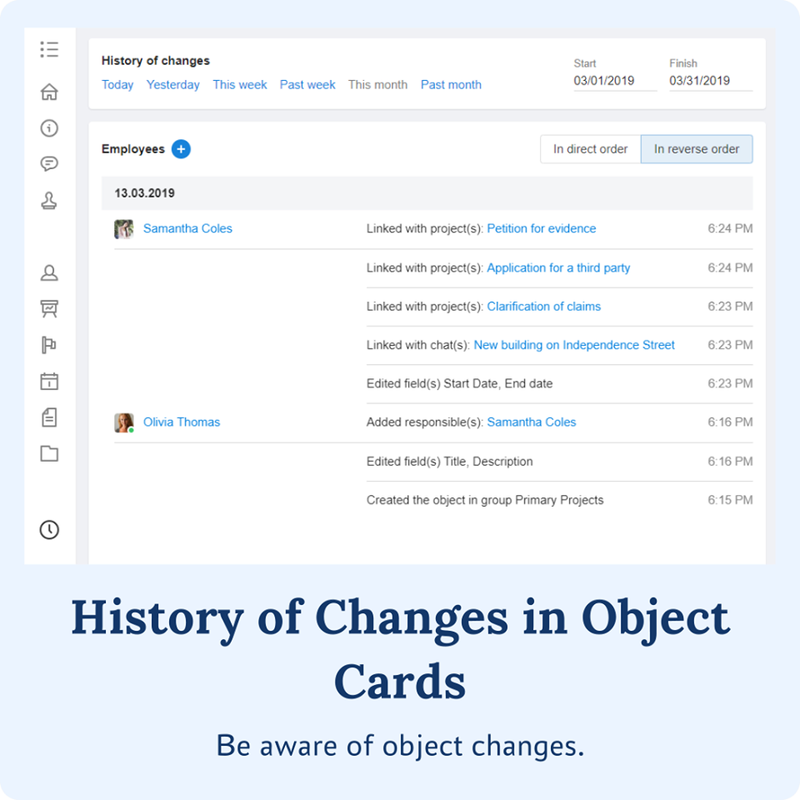 Now you will always be aware of who, when and how changed the object, linked it to other object or moved to a new stage.